If you've been dismissed from your college or university because of poor academic performance, it's only natural to feel embarrassed, angry and defensive. You may feel like you've let down your parents, your professors, and yourself. Because a dismissal can be so humiliating, many students try to place the blame for the low grades on anyone but themselves. After all, if you view yourself as a good student, then those D's and F's can't be your fault. However, to make a successful academic dismissal appeal, you need to take a long hard look in the mirror. While many factors can contribute to academic failure, that person in the mirror is the one who got the low grades on those papers, exams, and lab reports. The person in the mirror is the one who didn't attend class or failed to turn in assignments. I am writing because I would like to appeal my dismissal from Ivy University for poor academic performance. I know my grades were not good last semester, but there were a lot of circumstances that were not my fault. I would like to encourage you to reinstate me for next semester. I work really hard at my schoolwork, and I have since high school. My grades don't always reflect my hard work, though, and I sometimes get low grades on tests and essays. In my opinion, my math professor was not clear about what would be on the final, and did not give us notes to study from. His English is also really bad and made it hard to understand what he was saying. When I emailed him to ask what I made on the final, he did not reply for several days, and then just told me I should come by to pick up the exam without emailing me my grade. In my English class, I think the professor just did not like me and several of the guys in class; she made a lot of sarcastic jokes that were not appropriate. When she told me to take my essays to the Writing Center, I did, but that just made them worse. I tried to revise them on my own, and I worked really hard, but she would never give me a higher grade. I don't think anybody made an A in that class. If I am allowed to come back to Ivy University next fall, I will work even harder and maybe get a tutor for the classes like Spanish that I was struggling with. Also, I will try to get more sleep. That was a big factor last semester when I was tired all the time and sometimes nodded off in class, even though one reason I didn't get sleep was because of the amount of homework. I hope you will give me a second chance to graduate. A good appeal letter shows that you understand what went wrong and that you are being honest with yourself and the appeals committee. If your appeal is to succeed, you must show that you take responsibility for your low grades. Brett's appeal letter fails on this front. His first paragraph sets the wrong tone when he states that many of the problems he encountered "were not my fault." Immediately he sounds like a student who lacks the maturity and self-awareness to own up to his own shortcomings. A student who tries to place blame elsewhere is a student who is not learning and growing from his mistakes. The appeals committee will not be impressed. It gets worse. In the second paragraph, Brett's claim that he works "really hard" sounds hollow. How hard is he really working if he has just failed out of college for low grades? And if he is working hard but getting low grades, why hasn't he sought out help in assessing his learning difficulties? The rest of the paragraph actually suggests that Brett does not work hard. He says his "math professor was not clear about what would be on the final and did not give us notes to study from." Brett seems to think he is still in grade school and he will be spoon fed information and told exactly what will be on his exams. Alas, Brett needs to wake up to college. It is Brett's job to take notes, not his professor's job. It is Brett's job to figure out what information has received the most emphasis in class and is, therefore, most likely to be on exams. It is Brett's job to work hard outside of the classroom so that he has mastery over all of the material covered throughout the semester. But Brett is not done digging himself into a hole. His complaint about his instructor's English sounds petty if not racist, and the comments about receiving his grade over email is irrelevant to the appeal and shows laziness and ignorance on Brett's part (because of privacy issues and FERPA laws, most professors will not give out grades over email). When Brett talks about his English class, he again looks to blame anyone but himself. He seems to think that taking a paper to the Writing Center will somehow magically transform his writing. He seems to think that a feeble effort at revision represents hard work deserving of a higher grade. When Brett complains that "she would never give me a higher grade," he reveals that he thinks grades are given, not earned. Brett's claim that the professor didn't like him and made inappropriate comments raises a couple of issues. Professors aren't required to like students. Indeed, after reading Brett's letter, I don't like him very much. However, professors should not let their fondness or dislike of a student affect their evaluation of the student's work. Also, what was the nature of the inappropriate comments? 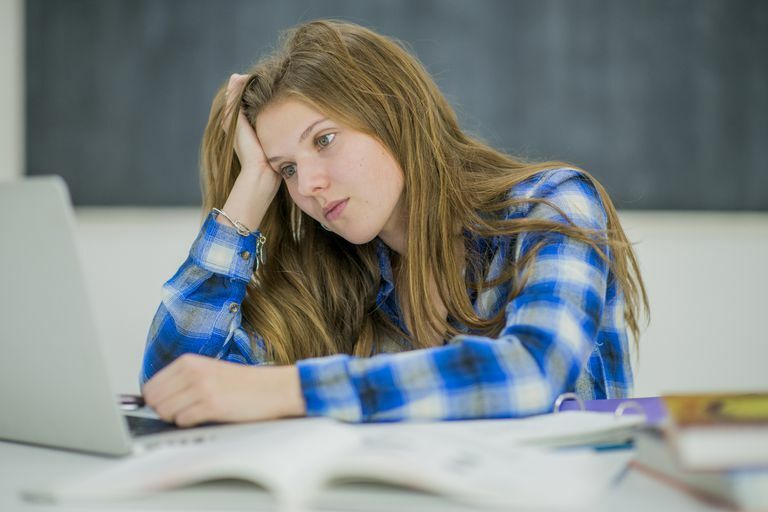 Many professors will make snide comments to students who are slacking off, not paying attention, or being disruptive in some way. However, if the comments were in some way racist, sexist or in any way discriminatory, then they are indeed inappropriate and should be reported to the professor's Dean. In Brett's case, these vague accusations of inappropriate comments sound as if they belong in the former category, but this is an issue the appeals committee will want to investigate further. Finally, Brett's plan for future success sounds weak. "Maybe get a tutor"? Brett, you need a tutor. Get rid of the "maybe" and act. Also, Brett says that homework was "one reason" he didn't get enough sleep. What were the other reasons? Why was Brett always sleeping through class? How will he address the time management problems that have left him exhausted all the time? Brett provides no answers to these questions. In short, Brett has made a losing appeal in his letter. He doesn't seem to understand what went wrong, and he put more energy into blaming others than figuring out how to improve his academic performance. The letter provides no evidence that Brett will succeed in the future. If you'd like Allen Grove's help with your own appeal letter, see his bio for details. Jason's Appeal Letter and Critique: Jason was dismissed because of alcohol abuse. See how he appealed his dismissal, with feedback. 10 Tips for an In-Person Appeal: You may be able to appeal in-person to the scholastic standards committee. See tips for making the best case. 10 Questions You Might Be Asked When Appealing a Dismissal: Be prepared to answer these questions appropriately.